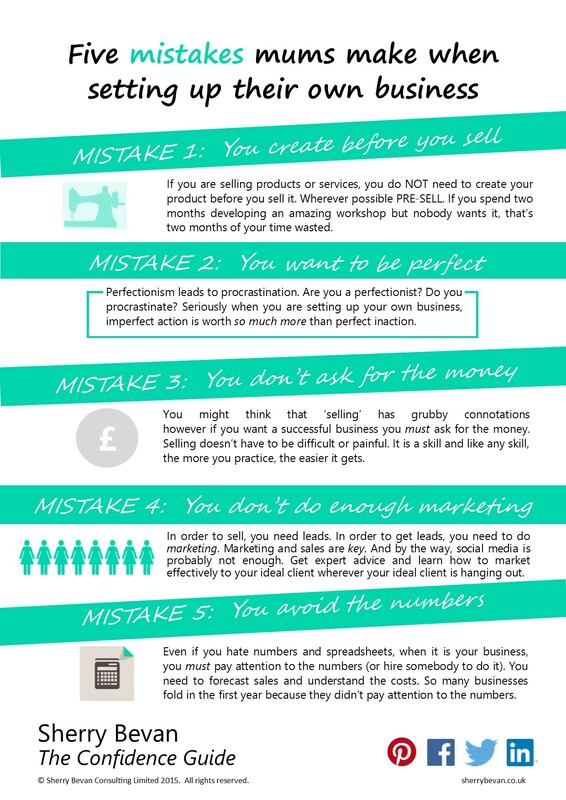 When I set up my own business three years ago, I made plenty of mistakes. Before I ran my own business, I set up the UK operations for an American service provider. When we launched that business in the UK in 2009, I did everything: from office space to staff recruitment to business development. Now I work with women who want to set up their own business and I see the same mistakes being repeated. I don’t want you to make the same mistakes that I did. For more useful hints and tips, sign up here to my weekly email newsletter. Join me 8.30pm Wednesday 11 March for a free webinar covering these five mistakes PLUS how to avoid them. Click here to register. ← What’s the most important thing you need to do today? great advice! What do you recommend for people who have to create the item before they can sell? Like jewelry? If it’s a tangible product, rather than making large quantities, small samples, or having a photographic portfolio of work available for people to view; whether online or if you’re at a networking event. It’s key to know whether people will buy what you want to sell.